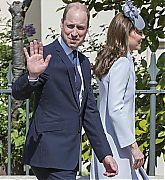 FROM THE WEBSITE: The UK’s biggest mixed youth organisation. 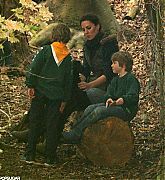 They change lives by offering 6 to 25 year olds fun and challenging activities, unique experiences, everyday adventure and the chance to help others so that we make a positive impact in communities. 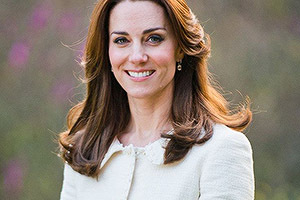 The Duchess of Cambridge has been a volunteer since January 2012. 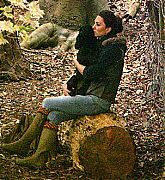 May 02, 2012 – Camping With Scouts In Anglesey – Catherine, The Duchess of Cambridge (and Lupo) quietly volunteered on a camping trip for The Scout Association in Anglesey, North Wales. 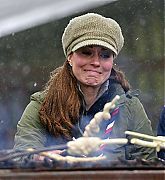 March 22, 2013 – The Duchess Of Cambridge Visits Great Tower Scout Camp – Catherine, Duchess of Cambridge visits Great Tower Scout camp on March 22, 2013 in Windermere, Cumbria, United Kingdom. 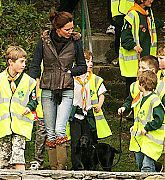 The Duchess of Cambridge attended a scout volunteer training day today in Newby Bridge in Cumbria. 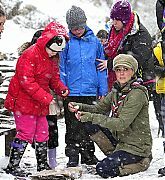 The training course is being run in Great Tower, one of the Scout Association’s national activity centres set in 250 acres of land offering a wide range of land and water based activities, including archery, low and high ropes, climbing, abseiling, sailing and canoeing. 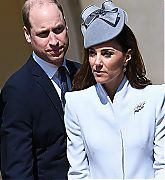 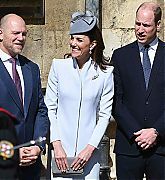 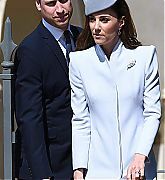 April 21, 2013 – The National Review Of The Queen’s Scouts At Windsor Castle – Catherine, Duchess of Cambridge attends the National Review of Queen’s Scouts at Windsor Castle in Windsor, England. 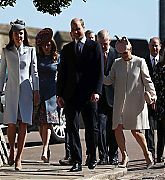 During her visit The Duchess inspected the Scouts, watched them parade past and attended a church service inside St George’s Chapel. 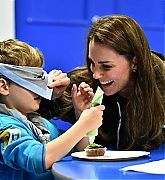 December 16, 2014 – Visiting 23rd Poplar Beaver Scout Colony – Britain’s Catherine, Duchess of Cambridge, wearing a blindfold, is helped to ice a cake by Fynley Gooch, aged 7, as she promotes disability awareness while meeting with children at the newly established 23rd Poplar Beaver Scout Colony on December 16, 2014 in east London, England. 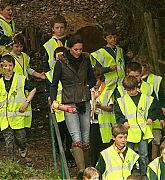 The Duchess’s visit supports the Scout Association’s ‘Better Prepared’ campaign, which aims to help communities to deliver Scouting to two hundred locations across the UK where Scouting can have the biggest impact. 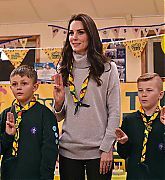 December 14, 2016 – Attending A Cub Scout Pack Meeting To Celebrate 100 Years Of Cubs – Catherine, Duchess of Cambridge interacts with children during an official visit to a Cub Scout Pack meeting to celebrate 100 years of Cubs in King’s Lynn, England. 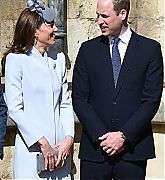 During her visit The Duchess took part in games and activities themed around looking after yourself and others physically and emotionally. 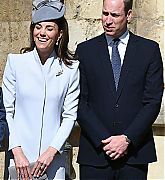 March 28, 2018 – Visiting The Scout’s Early Years Pilot At Gilwell Park – The Duchess of Cambridge visited Gilwell Park to mark their 100th Anniversary. 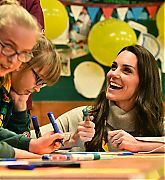 During her visit she joined young children taking part in The Scout’s pilot scheme to explore the potential of providing Scouting to children aged four and five — equipping them with the life skills and values of teamwork, leadership and resilience.